DMS Industrial, LLC has built itself as a service-oriented organization with a record of integrity. DMS Industrial was established as a stocking industrial distributor. We have over 25 years of expertise in the industry and at DMS our customers come first. To us, dependability is a philosophy of service that we practice every day. DMS Industrial has built itself as a service-oriented organization with a record of integrity. Today, DMS Industrial is recognized not only as a leader in band saw welding and band saw machine sales and service, but also as a consultant in the proper usage of these products. We'll be here... long after the sale! You can be assured that the quality of our products and services is unparalleled. 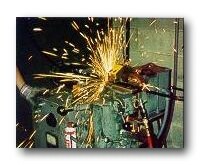 That is why every aspect of our work is guaranteed - from blade welds to machine parts and services. Customer satisfaction is very important to us because we want to be a business "partner" you can rely on for years to come. 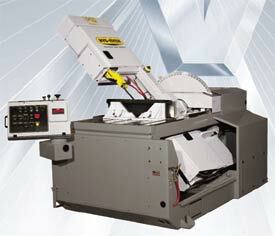 DMS Industrial can custom design and manufacturer a conveyor system to meet your needs. At DMS Industrial we are committed to innovative design and serving our customers in the most economical and user-friendly manner possible in an effort to become the leader in the band saw industry. 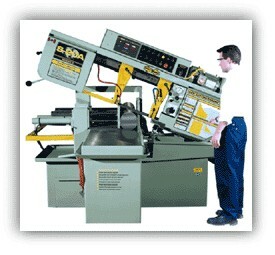 DMS Industrial offers custom band saw services including welding.